Home » What is Purchase Invoice Financing and How Does it Work? What is Purchase Invoice Financing and How Does it Work? Invoice financing has emerged as the latest trend in India’s SME finance market. It allows quick business finance for small and medium enterprises with commercial clients by allowing them to encash their bills earlier than the due date. Purchase invoice financing or purchase order financing is a form of invoice finance that allows sellers to meet their working capital flow. Just like other invoice financing products and services, purchase invoice financing also involves the collateralization of a purchase order or invoice. 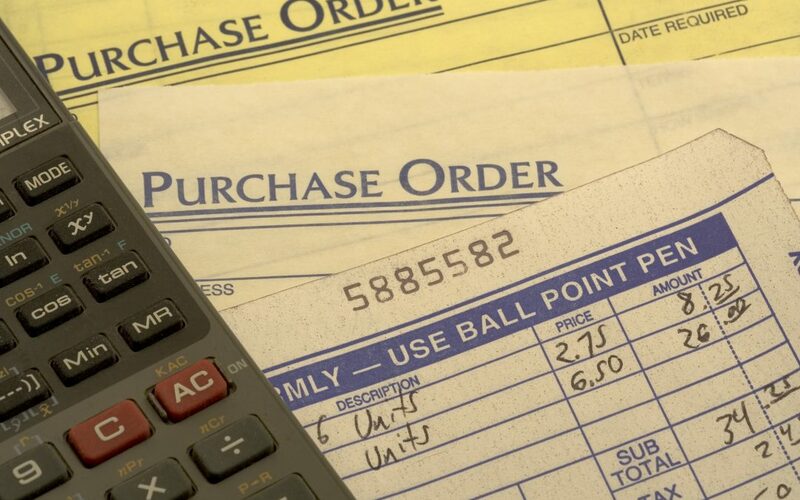 A purchase order form or invoice is needed for purchase invoice financing. It is an agreement between the buyer and the seller on pricing and quantity of a product or service to be delivered. The purchase order must have a due date above 30 days and below 180 days to be eligible for purchase order financing from an NBFC like LivFin. Generally, both buyer and seller need to be in agreement about the purchase order financing from a third-party lender. The buyer can then approach a lender like LivFin who will offer a very short-term business loan in lieu of the purchase order or invoice. This loan can be anywhere between 80 percent to up to a 100 percent of the invoice value. Purchase order financing becomes a life-saver for small businesses servicing large purchase orders. For example, if a small business owner receives a very-large order for his goods and services from a larger company or through a government contract, then his business immediately comes under pressure to meet the supply routine. Now larger contracts often come with lengthy payment terms, which can defer payments for goods-delivered to up to 120 days or more. In this case, the small business owner may not have the funds to deliver the second or third shipment in the contract as he runs out of working capital and operational funds servicing the first shipment in the contract. Purchase invoice financing allows him to receive funds immediately by submitting the purchase order to a lender like LivFin and finance the production and delivery of future shipments until he gets paid by the customer. LivFin is an Indian non-banking financial company that offers business loans, working capital loans and invoice financing options for small and medium businesses in the country. The company also has expert strategists in its employ to help small businesses in framing loan repayment pathways and increasing profit margins. Here are the salient features of business financing with LivFin. Fast funding for small and medium enterprises with quick decision-making systems in place. Hassle-free business loan application through FinTech platform and digital interface. Informed customer support for real-time assistance for SME owners. Interested in applying for purchase invoice financing? Get in touch with LivFin at care@livfin.com.